Absolute Tinting offers the best office window film and tinting services in Stoney Creek, Ontario. We’ve been installing tints and films on office building windows for well over 19 years and we are proud to be the best in the greater Hamilton area. Fill out the form at the bottom of this page or call 905.664.3652 for a free estimate on your office building. 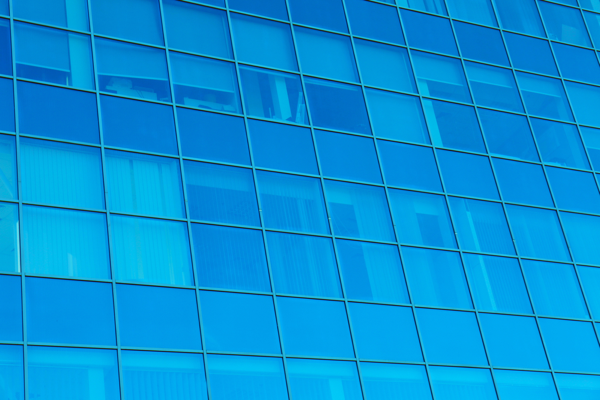 Why is it important to have tints on your commercial building? There are many reasons. For instance, did you know tinted windows can reduce heat and glare? This is especially important for buildings with many windows or tall windows that are allowing natural light into the workplace. No one wants to work with the sun glaring into their eyes, but a little natural light can improve the setting - we have a variety of window films available to provide the perfect solution for your building. ​Tinted windows are also recommended for aesthetic, safety and security purposes. There is just something professional-looking about a building with all tinted windows. It provides privacy for all of the workers as well. Window films like Hanita's SafetyZone Window Films even make your window stronger and more shatterproof and protect against graffiti. This is a great benefit for any buildings located in areas prone to wind storms or bad weather conditions. It’s also great for tall buildings where debris or even birds fly into windows on occasion. We highly recommend avoiding heat, glare, and shatter prone windows by having us professionally install window films on your office building windows. The reduction of heat caused from the glaring sun on non-tinted windows will reduce energy costs as well. This is often the selling point for most businesses because we all know decisions come down to the bottom line. Tinted windows create a cool, calm, and comfortable environment – one that doesn’t need to be constantly air conditioned. Air conditioning is quite expensive for large office buildings, so a one-time payment for window tints is something to consider seriously. For anyone who has worked in an office building without tints, you will be able to appreciate the reasons why tinting is a good idea. It is likely that you yourself have experienced sun glare issues or an overheated office either due to tint-less windows or tinted windows that were poorly installed. It’s important to get your office building tints installed by a team of qualified and experienced professionals. ​At Absolute Tinting, we work tireless to ensure your window films are installed perfectly. Tints that are properly installed will significantly reduce glare and heating issues, guaranteed. You can also trust that we only use the highest quality window films. If you have any questions regarding our office building window film services, please don’t hesitate to give us a call at 905.664.3652 or fill out our form below.